To many in the truck industry, Mitsubishi Fuso is one of the perennial bridesmaids in the annual sales race: good, but never quite a winner. But Mistubishi Fuso believes the new Canter will propel them to the top, reports Gary Worrall. 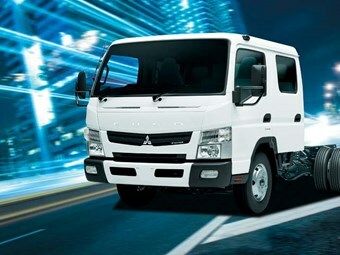 Despite the upheavals of the earthquake and tsunami, the Mitsubishi canters have a range of features not available in other light duty models. If there's one thing journalists enjoy about truck shows, it's the plentiful supply of coffee, especially since drinking beer at 9am is generally frowned upon. The other good thing at truck shows is the inevitable new-model truck launch, with at least one manufacturer guaranteed to pull back the covers on new trucks at every outing. Thus it was with Brisbane 2011, when Mitsubishi Fuso stepped up to the plate to unveil the new model Canter in one of its first showings outside Japan. Despite the upheavals of the March 2011 earthquake and tsunami that caught world-wide attention with widespread devastation, the trucks arrived in time for the show, with warning stickers declaring them pre-production versions with minor trim variations to the final Australian specification. Fuso's Technical Manager for Australia, Kevin Johnston, is enthusiastic about the new Canter's arrival, saying the new trucks bring a range of features not available in other light duty models. Chief among these upgrades on the Fuso Canter is the new Duonic automated manual transmission (AMT), a dual clutch transmission developed to provide a combination of improved fuel economy and driveability, without sacrificing any load-carrying capacity in terms of GVM and GCM. Similarly, the new engine is certified to meet not only Euro 5 Enhanced Environmentally Friendly Vehicle (EEV) exhaust emission standards, but also the Japan fuel economy target due to come into force in 2015, all achieved with just a 3-litre engine providing the same power and torque as the previous 4.9-litre motor. 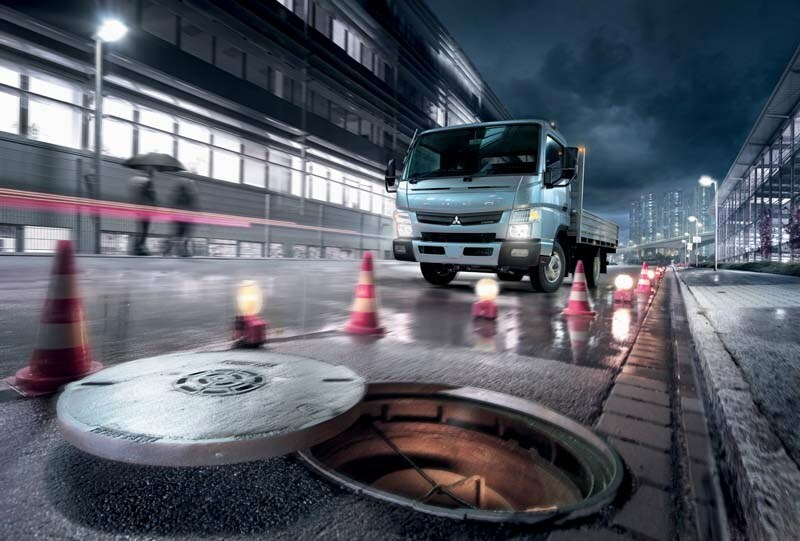 For many people, the Mitsubishi Canter truck upgrade will start and finish with the cab design, regardless of the work put into the rest of the vehicle, simply because it is the most visible aspect of the change. Visually, the new cab is an evolution of the previous 'face' into more of a family design that provides a linking point to the other models, the Fighter and the Heavy Duty. with the main engine-cooling air drawn in through slots in the steel bumper bar for the radiators. 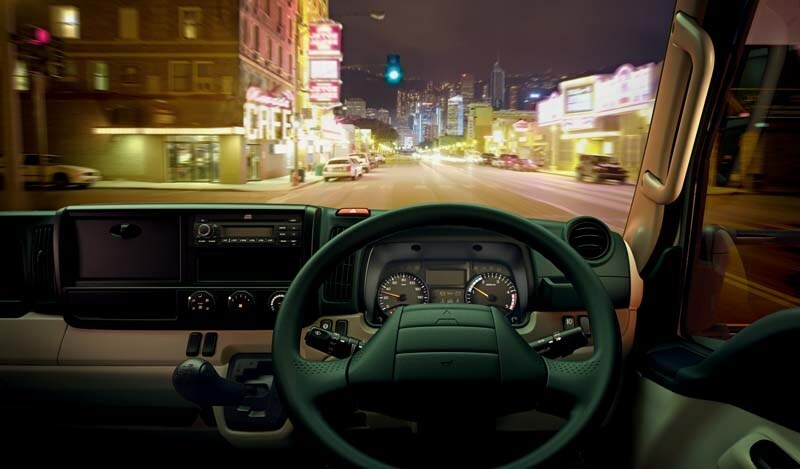 The new cab contains more detail panels than previous versions, which add to the more sophisticated look of the new model, with a number of swage lines drawing the eye to various points of the design, as well as helping direct air flow around the square front. Also different are the light clusters, with larger, more rectangular driving lights above the unchanged headlights and indicators, while there are now fog lights installed as standard in the steel lower bar. While the revised styling is striking, the big news is the return of the narrow cab to the Canter range, including a 3,500kg GVM model for bridging the gap between car drivers and the full size models. The narrow cab will be offered in seven models, including a six-seat crew cab and a tipper, both of which are expected to be popular with local government buyers. Johnston also nominates the flat chassis rails as a benefit of the new model, saying they allow body builders to develop interchangeable designs without needing to worry about bolt heads or other hardware interfering with the installation. Recognising the 1970s tagline is now part of the Australian vernacular, Fuso says the new wide cab models remain true to the advertising campaign, with even more room than previously. Bigger drivers will be especially appreciative of the interior engineering redesign that now offers a mechanically suspended driver's seat, which promises improved comfort and support over the previous version. While the dash layout remains virtually unchanged, Johnston says the big change is the narrower dash pad that creates extra legroom. From personal experience, one downfall of the superseded model was the lack of leg room between the gearshift and steering wheel in fifth gear. However, this problem no longer exists in the new cab. Johnston says the combination of the narrow dash and extra rearward movement of the new seat creates more room for the driver, which certainly seems the case from static testing of the revised layout at the Canter presentation. The cab remains light and airy, with a large glasshouse that promises good vision, despite the expanse of grey vinyl covering the dash and vertical panels, reinforcing the working truck nature of the design. With a choice of a full manual gearbox or the new Duonic AMT, Johnston says operators will be thrilled with the driveline options in the updated Canter. The five speed manual remains unchanged, which means a light yet direct action, with a set of well-chosen ratios covering a wide range of driving scenarios. While the five speed version will be popular with many operators, Johnston says it is the Duonic that will leave drivers excited with its virtually seamless shifting. He says the secret lies in the dual clutch design, which acts as a virtual pre-selector transmission, with one clutch operating first, third and fifth, while the other operates on second, fourth and sixth gears. The Duonic uses a wet clutch, meaning the plates are immersed in fluid and are virtually wear-free, unlike a standard 'dry' clutch used in other transmissions. Johnston says the gearbox suffers no GCM penalty, allowing operators to pull fully-laden trailers, while retaining the smooth shifts of the AMT, which can actually make trailer operations less stressful on truck drivelines courtesy of the computer-controlled clutch. He is also quick to point out the 'Park' position on the gear indicator, unlike other AMTs which only have a 'Neutral' position, with Duonic fitted with a locking pin that helps prevent accidental runaways when Park is engaged. While all Japanese manufacturers are at least a little uncertain as to what the six months holds in terms of production capability, Johnston says Australia will be receiving stocks of the new Canter. While there is undoubted pressure on Japanese trucks from Chinese and Korean products, Johnston believes the new Canter will continue to build on the sales of the current version. As always, only history will be the true judge of his confidence. 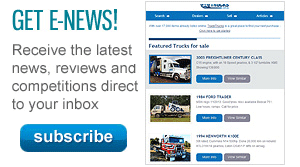 Find Mitsubishi Fuso trucks for sale. 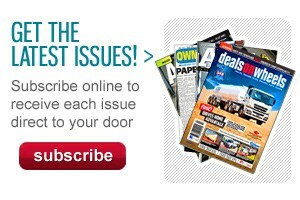 Search for new Mitsubishi Fuso specs.